Dr. Kelsey Erickson is a Research Fellow in the Institute for Sport, Physical Activity and Leisure (ISPAL) at Leeds Beckett University, UK. Her expertise is in the psychology of drugs in sport and she is particularly interested in developing an understanding of the psychosocial factors that influence performance and image enhancing drug use. Given her cross-cultural background (former US and UK student-athlete), exploring potential cultural and contextual differences associated with doping behaviour is of particular interest. Kelsey is an integral part of the doping-related research team at Leeds Beckett University and she has been involved in multiple funded research projects. 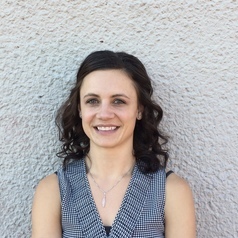 Her doctoral research was partially funded by the International Athletics Foundation and during this time Kelsey was instrumental in securing funding from the International Olympic Committee to conduct a two-year study on the feasibility of delivering a Clean Sport bystander intervention programme for student-athletes in the US, UK and Canada. RE>ACT (‘recognise’ and ‘take action’) has been conceived to equip and empower student-athletes to play an active role in the pursuit of Clean Sport. Most recently, Kelsey has received funding from the World Anti-Doping Agency (WADA) to conduct research on whistleblowing in sport, with a view to informing their Whistleblower Program. Kelsey is an active member of a number of professional bodies, including the British Association of Sport and Exercise Science (BASES) Clean Sport Interest Group. In August 2016, she convened (and now oversees) the Association for Applied Sport Psychology (AASP) Clean Sport Special Interest Group. Kelsey graduated from Leeds Beckett with her Doctorate in Sport and Exercise Psychology in July 2016. She was awarded her MSc in Sport and Exercise Psychology in 2011 and her dissertation was shortlisted by the WADA for their ‘Young Investigator of the Year’ Award.